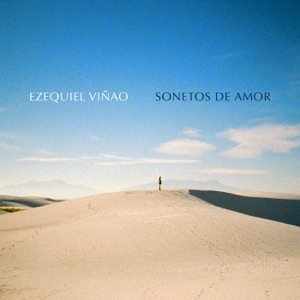 TLON Editions announces the global release of “Sonetos de Amor” a genre-bending new album by Argentinian-American composer Ezequiel Viñao. "Sonetos de Amor” (“Love Sonnets”) brings the raw emotional power of Pablo Neruda’s love poems together with a group of musicians from diverse backgrounds who blend the sound worlds of Tango, North African and Western classical music. The band features Spanish pop-star Cristina Pato on piano; Latin Grammy nominee Pablo Aslan on bass; the up-and-coming young bandoneón virtuoso JP Jofre; the spellbinding Syrian clarinetist Kinan Azmeh; Silk Road Ensemble hand-drum master Shane Shanahan, and the riveting vocalist Sofia Rei from Argentina. “Ezequiel Viñao, deftly fused the styles of performers associated with jazz, Latin American and Middle Eastern music. JP Jofre’s bandoneón. Sofía Rei, singing in Spanish, invested Neruda’s verses with a palpable ardor, her throaty intensity buffeted by gentle counterpoint from the clarinetist Kinan Azmeh. Shane Shanahan provided subtle, earthy rhythms on hand drums.